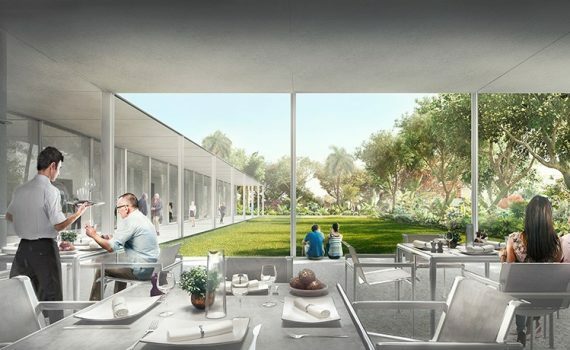 The Norton Museum of Art is currently undergoing an $84 million expansion designed by Foster and Partners. The Norton retained JGL to assess their existing food service and venue rental operations. The assessment provided the organization with the tools to develop a business plan that supports increased earned income opportunities. JGL managed the RFP process in which the Museum selected their exclusive partner to run both their new restaurant and catering operations. As the Norton prepares to reopen, JGL has remained involved in the development of the revitalized venue rental program. JGL created pre-opening marketing materials, draft contracts, policies and was an integral part of the talent search for event staff. The Norton will be opening in February of 2019. JGL looks forward to following the great success story that the Norton Museum of Art will surely become.